Matching up with the requirements of our clients, we are involved in offering Rubber Mounted Point. 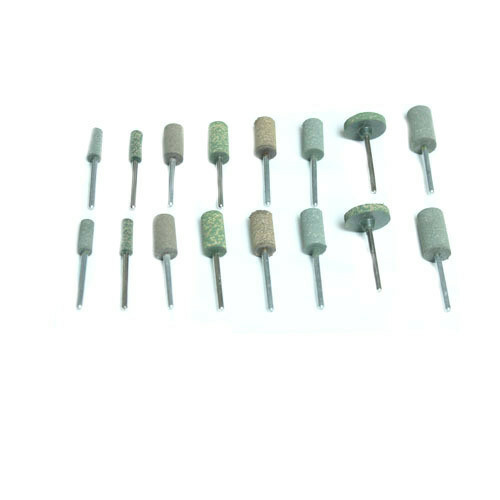 Incorporated in the year 1999, at Mumbai, Maharashtra, we “Yash Tools India Private Limited”, are engaged as Wholesale Trader, Exporter, Importer and Retailer quality approved Polishing Stone, Mold Part, Solid Carbide Rod, DC Slim Shank, ER Chucks, Pneumatic Tools, and many more. The material which is used by our vendors is of optimum quality as it is purchased from the most trustworthy vendors of the market. Our marketing experts are always updated about the brilliance and patterns of essential material. In addition, we ensure to deliver a flawless range of products to customers, we have set up a quality testing laboratory to test the products regularly. Besides, our professional and dedicated approach has always led us to the path of success.